Our training programs are progressive and continually evolve to keep current with industry changes and new technological advancements. Our courses and workshops cover all aspects of contents restoration and implementing our service methodology will have an immediate impact on the efficiency and productivity of your contents operations. 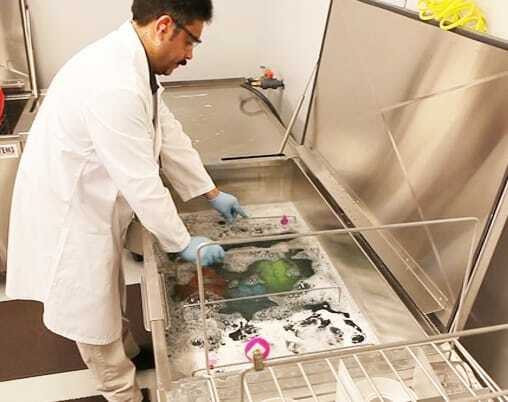 From Precision Packouts, Claims Management, Estimating and Invoicing to a full range of technical courses including Ultrasonics Cleaning, Electronics Restoration, Advanced Hand Cleaning and Specialty Item Recovery Classes. There are approximately 70 individual course modules in the complete Fireline™ training program. Fireline™ training can be accessed at numerous locations throughout the country. 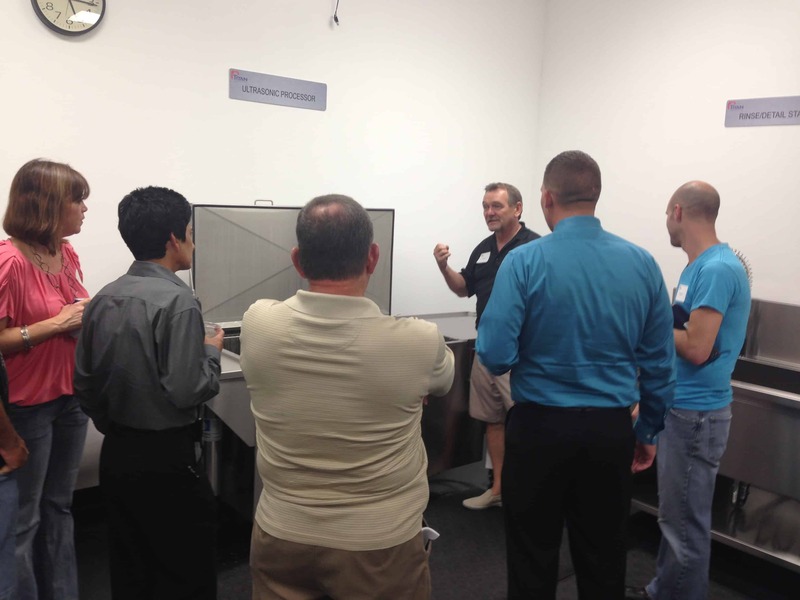 Fireline™ also offers private educational events which can be scheduled on site at the customer’s facility. Many restoration companies regularly mandate Fireline™ training for thier contents division personnel, as a result our onsite workshops are popular and can be custom tailored to meet the specific needs of the company. Onsite training can be scheduled for 2, 3 and 4 days based on customer needs. Fireline™ training events qualify for IICRC Continuing Education Credits. Chris is an internationally recognized conference speaker, trainer, and published author on contents restoration topics. Chris has 10 years experience as a restoration contractor and another 11 years as Director of Training for Paul Davis, having opened over 100 restoration offices throughout the US. Chris has taught CE classes to insurance agents and adjusters across the US. He carries the WRT, ASD, FSRT and AMRT certifications from the IICRC and is considered an expert in the use of Xactimate. Chris has a degree in business from the University of Colorado as well as other certifications from the American Institute of Real Estate Appraisers. Chis is an engaging trainer, seasoned with real life success experience that will challenge you to a higher level of service excellence, increased labor efficiency and improved bottom line profit. Rich has been in the contents restoration industry for over 2 decades. He began his career as a cleaning tech, his dedication to the restoration business eventually led him to the position of Contents Manager. As manager, he was responsible for training staff on the procedures and protocols for contents restoration. Rich joined Ultrasonics Intl. Corp (Fireline™ parent company) in 2003 as the contents Process Trainer for both ultrasonics and electronics. He has been instrumental in developing many innovative contents restoration procedures and techniques. Rich brings a blend of knowledge, enthusiasm and forward thinking, conducting onsite training more than other trainers in his field. Rich is well respected and considered to be one of the most knowledgeable and proactive instructors in the industry.